Last week was an amazing reading week at Enders Road! Thank you for your support, effort and enthusiasm, which made the program such a success this year. 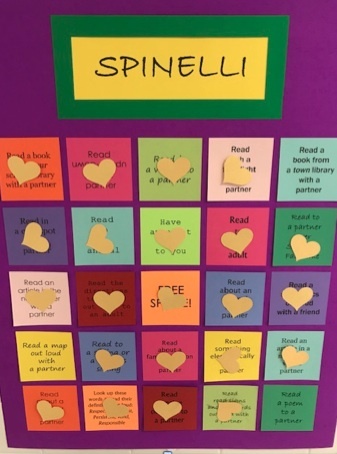 The students were very engaged in the daily PARP classroom activities and PARP-O (reading bingo) generated an incredible amount of school excitement! Students worked very hard to turn in reading tickets and earn chips for their game boards, which were displayed in the cafeteria. 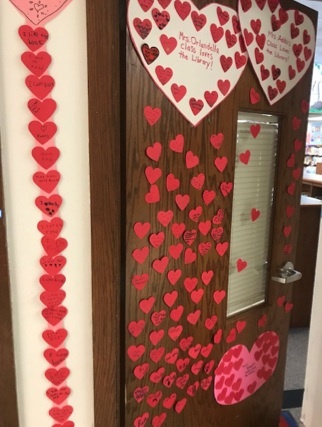 A grand total of 5,636 reading tickets were submitted, which equates to approximately 56,360 minutes of reading – exceeding all expectations! Classrooms worked together as a team and the competition was stiff! Below is a recap of the final PARP-O results. Kindergarten: Mrs. Brown’s class and Mrs. Dickerson’s class both earned PARP-O on Friday and won extra recess. Mrs. Brown’s class was the grade’s reading ticket leader, turning in 264! First Grade: Mrs. Tees’ class earned PARP-O on Friday and was also the grade ticket leader with 264. Second Grade: Both Mrs. Aloi’s and Mrs. Twichell’s class got PARP-O on Friday and won extra recess. Mrs. Aloi’s class was the grade’s ticket leader with 256, barely beating Mrs. Orlandella’s class with 252! 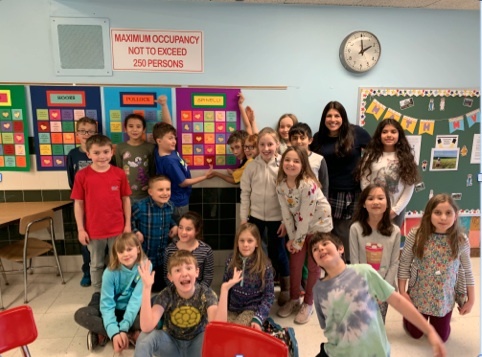 Third Grade: Miss Spinelli’s class got the first third grade PARP-O on Wednesday and won the extra recess, but there was a great effort shown by Mrs. Brown’s class and Mrs. Gugino’s class, who got PARP-O on Friday. Miss Spinelli’s class was the grade’s leader with 364 tickets. 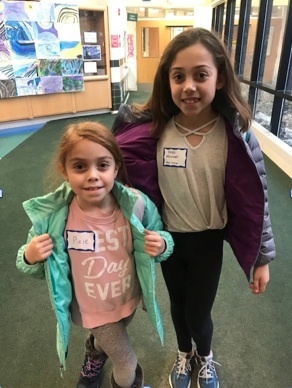 Fourth Grade: Mr. Chaddock’s class lead the grade with 333 tickets and earned the first fourth grade PARP-O on Thursday, winning the extra recess. There was impressive effort from Mrs. Ferris’s class and Mrs. Tonkovich’s class who earned PARP-O on Friday. Cheering could be heard throughout the Enders Road hallways as the overall reading ticket classroom was announced. Miss Spinelli’s class won an ice cream party for their unbelievable hard work – they had 364 reading tickets! Congratulations to students, teachers and all reading partners for such a fun and successful PARP reading week! 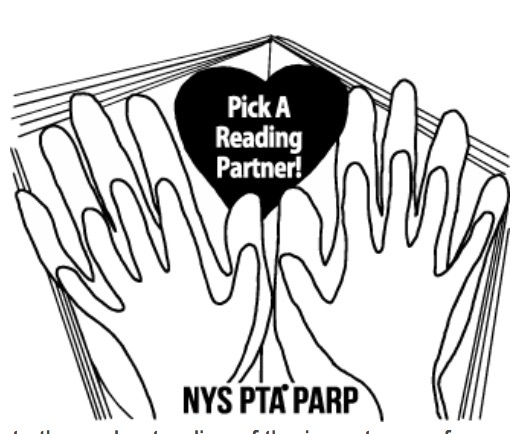 Enders Road Elementary is bringing back an old favorite reading program this year, called PARP (Pick a Reading Partner). This exciting, week-long program will feature fun, interactive reading activities in the classroom and at home. One reason that the PARP program is unique is that it reminds us how valuable and fun it is to read with someone. The goal of PARP is for each student to read 10-15 minutes with a partner each day of the program. The term “partner” is intended to be very inclusive, so that students may select a family member, a neighbor, a friend, a pet, or anyone who enjoys a good read! Feb. 6: Drop Everything and Read! Feb. 8: PARP-O Winners Announced!